Silver Line commuters will have to find an alternate means of transportation if they intend to go to work tomorrow. 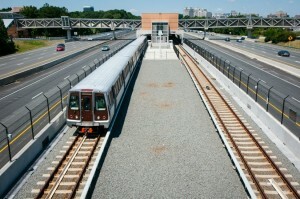 The Silver Line will remain closed on Tuesday, says Metro. All other lines will be operating. The system will reopen at 5 a.m. Tuesday, and fares will be charged, Metro says. Riders rode free on Monday when Metro offered limited below-ground service for most of the day. Trains are expected to run every 12 minutes Tuesday. Metro was shut down from 11 p.m. Friday until Monday morning as a blizzard raged through the area. Service was restored to 79 of 91 stations by 4 p.m. Monday.